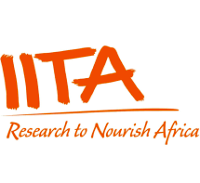 IITA is looking for a suitably qualified person to fill the position Assistant Project Manager for the “Strengthening Capacity to Implement Priority Actions for Achieving Resilient Food Security in Tanzania” project. He or She will work directly under the Project’s Coordinator and support the project’s senior team members and collaborate with the project’s implementing team and local partners from the Ministry of Agriculture (Tanzania mainland) and the Ministry of Agriculture, Natural Resources Livestock and Fisheries, Zanzibar. Duty Station: The position will be based at the IITA Regional Hub for Eastern Africa in Dar es Salaam, Tanzania. At least five years’ experience in project Finance and Administration . Keep records of deadlines for submission of work plans, and technical and financial reports and follow up with project implementing team to ensure these are prepared and submitted in a timely manner. Assist in compiling and reviewing financial reports for submission to donors while complying with donor reporting templates and schedules. Develop and maintain an efficient financial monitoring, filing system and databases for print and electronic files/documents on program activities and projects. Follow up with Finance team at the hub to ensure that project payments are executed in a timely manner. Follow up with the Program Accountant at the HQ to ensure that project reports are done in a timely manner and expenditures reflect approved project budget line items. Continuous monitoring of program activities and support preparation of annual reports and progress updates as requested. The duration of the contract is for one and half year. This is a nationally recruited position and IITA offers a competitive remuneration package. Applicants are requested to please indicate the reference number for the position as indicated on the heading of the announcement in your application as well as on the subject of your email if sending by email. If sending by post or hand delivery, please indicate the reference number on your application as well as on the left hand side of your envelope. Please note that any applications without the reference number indicated will be automatically disqualified. Closing date: Closing date is on 28th February 2019. Please note that only shortlisted candidates will be contacted.